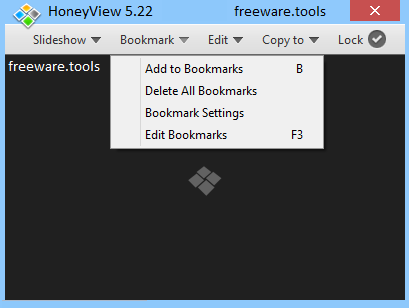 Honeyview is a very fast image viewer supporting various formats. Honeyview can open common image formats including BMP, BPG, JPG, GIF, PNG, PSD, DDS, JXR, WebP, J2K, JP2, TGA, TIFF, PCX, PNM, and PPM. RAW formats such as DNG, CR2, CRW, NEF, NRW, ORF, RW2, PEF, SR2, RAF, WebP, DDS, PCX, and PNM can also be opened. It also allows viewing an archive without extraction - ideal for manga and cartoon viewing. Supported archive formats include ZIP, RAR, 7Z, LZH, TAR, ALZ, and EGG. Images can be viewed in various modes such as Fill and Parallel View. Slideshows are also supported with various transition effects. HoneyView is an image viewer which enables you to associate a lot of file types with it, such as JPG, BMP, GIF, TGA, PNG, TIFF, PSD, CBR and DNG. After wrapping up the quick installation process, you are greeted by a clean and modern-looking interface, which enables any type of person to find their way around it, without running into issues. When opening files or entire folders with this software utility, you should know there are different methods of viewing images you can choose between. To be more exact, you can keep each photography’s original size, stretch them to fit the tool’s frame, stretch just the width or show two at a time. The main window contains a small navigation panel, which can auto-hide or can be locked in place. It sports options such as opening a file, going to next, previous, first or last picture, as well as zoom in and out. It is possible to add, edit or delete bookmarks, create a slideshow by changing photo at a user-input number of seconds, randomize their order or repeat them, and add effects (book turning, alpha blending or slide). You can also rotate images, set them as wallpapers, save, delete or print files, correct the gamma levels, use negative colors, display or hide information such as item name, size, last modified date and time, resolution and zoom percentage. There are a few interpolation methods you can choose from (bilinear, bicubic, lanczos), while you can sharped and smooth photos, customize keyboard shortcuts and mouse input, specify output directory and tweak file associations. Taking all of this into consideration, it becomes apparent HoneyView is an efficient image viewer, which does not put a strain on your computer’s performance, as it uses minimal CPU and RAM.